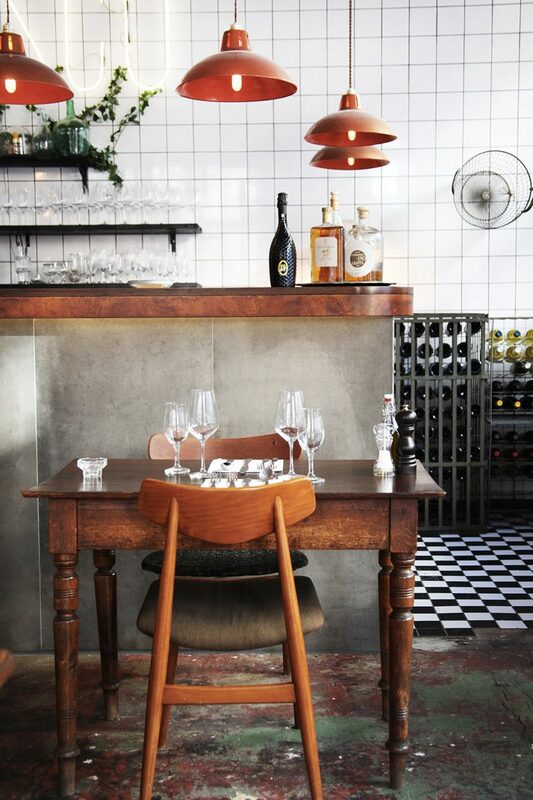 Places with interior neon signs aren’t usually described as having a subtle look, but the elegant letters glowing behind the bar of Bosco, set against a background of white tiles, is a stylish focal point in this Berlin restaurant. 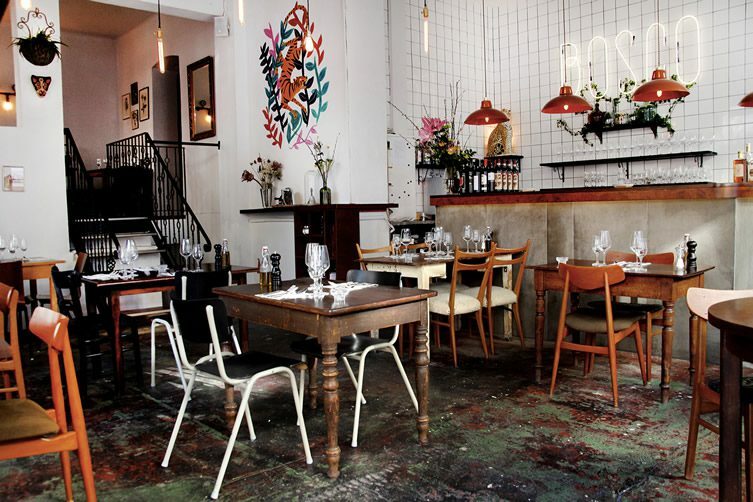 Animal print is another road to travel with caution, but when it appears in Bosco it’s in the form of a kitsch but tastefully small porcelain sculpture of a cheetah, again behind the bar, and in mural form as a tiger slinks through some naïve foliage. The Bosco boys worked with Michaela Picchi and Margot Pandone to arrive at the design, and on this evidence they seem to have a canny knack for where to draw the line. 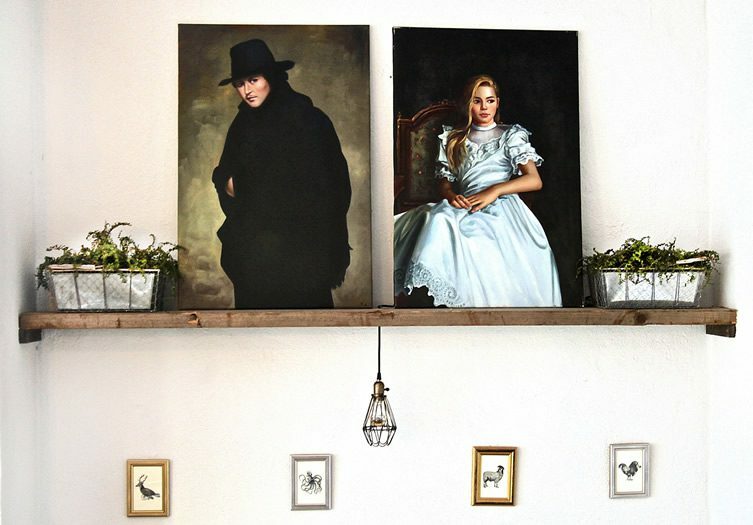 Bosco (the Italian for forest) is in the Kreuzberg ‘hood, and it’s the follow-up venue to Federico Testa and Francesco Righi’s popular Da Baffi in Wedding. 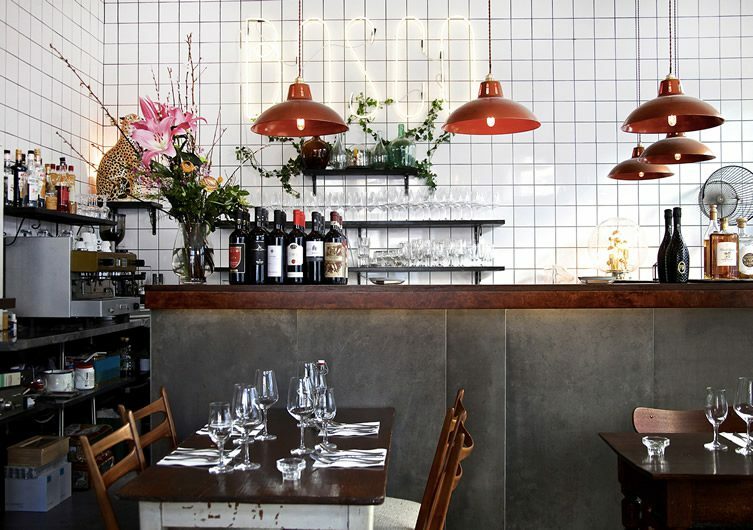 That venue launched them on the Berlin dining scene, and Bosco looks likely to cement the duo as the city’s doyens of Italian cooking. 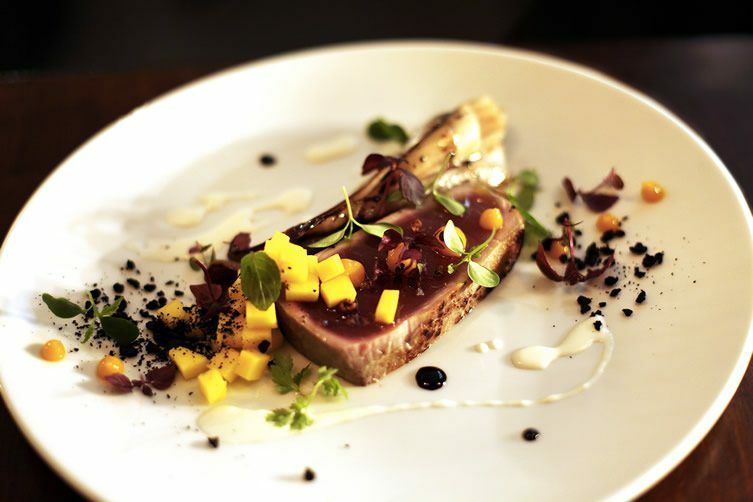 The menu follows the traditional Italian dining format — antipasti, primi, secondi and dessert — which means you can have four courses and then tell yourself you were just embracing another culture’s traditions as your top trouser button pings across the dining room.